Northern Georgia is known around the country for its delightful peaches and other produce. 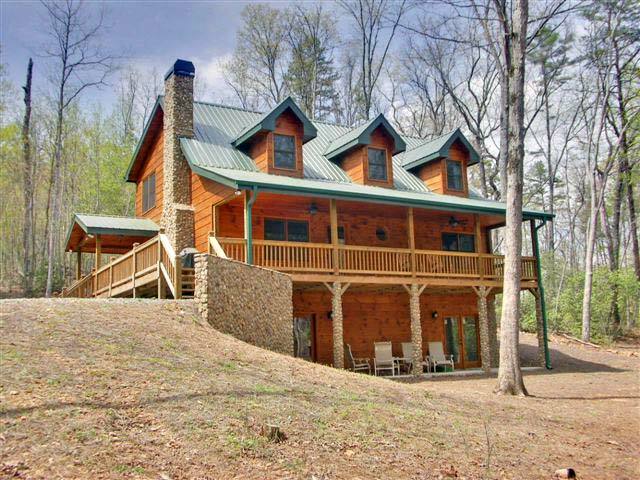 That's why while visiting the luxurious rental cabins, Helen Georgia visitors will often ask, "Where can we buy fresh fruits and vegetables to enjoy at our vacation rental and back at home?" To assist you on your quest, here are some of the best spots for finding local produce. Whether visitors to the cabins, Helen GA locals or passers-by, Jaemor Farms is a hot spot for local produce. It all started out as a roadside fruit stand where travelers could stop by and try Georgia peaches for themselves. 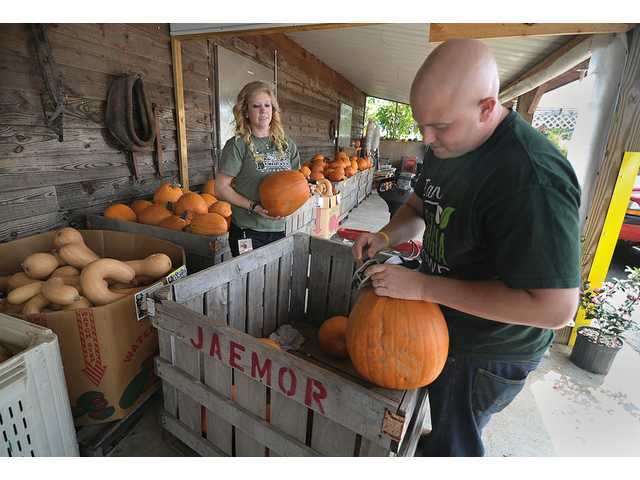 Now, however, Jaemor Farms has grown to be one of the largest roadside produce stands in the United States. Here, you will be able to pick out a wide variety of locally grown peaches, oranges, nectarines, strawberries, apples, squash, beans, peppers, and others as long as they are in season and available. While you're there, be sure to try some of the pies and ice cream flavors made with home grown fruits, take home a jar of fresh preserves with you, or taste the rich flavors of the farm's many baked goods. You can even discover for yourself what fresh mountain creamery milk tastes like. When you're done, pack up your haul and use it to prepare treats and meals back at the cabin, or to enjoy when you head back home to the city. If you are planning a day trip to Blue Ridge, be sure to stop by Mercier Orchards before you hop on the famous scenic railway. This delicious stop is well worth the short trip from the most luxurious cabins Helen Georgia can provide. As the largest produce farm of its kind in the southeastern United States, visitors enjoy having their pick of numerous fruits. By consulting with the farm's U-Pick schedule, you can even enjoy a day of wandering in the orchards and selecting the cherries, apples, blueberries, peaches, plums, or strawberries that you would like - right off of the plant. Mercier Orchards is home to over 20 varieties of apples, and additionally offers produce-related goods like fresh jams, preserves, jellies, butters, ciders and more. And make sure that you check out the farm's event calendar as fun and family friendly activities occur throughout the year. Just a short drive east from the best cabins Helen Georgia can provide, you will find B.J Reese Orchards. This fun and tasty spot allows visitors to pick their own peaches from the end of July through mid-September, and enables guests to choose their own apples all throughout the autumn season. Both options make this spot ideal for those who are coming to the area for Helen's famous Oktoberfest. You will be able to choose whichever size bag you desire, and fill it up with your own choice of delectable apples. If you choose to drop by the farms on a weekend, you'll also be able to check out a petting zoo and try your hand at firing an apple cannon. Challenge your family and friends to rival your best attempts at smashing an apple from a cannon located 500 feet away. Wrap up your day with some fresh apple cider, and be sure to check out the bakery before you go. Your mouth will water at the numerous fruit pies, Danishes, candied and caramel apples, pumpkin rolls, apple cider doughnuts, freshly baked breads, and so much more. Both your fresh-picked produce and bakery-bought treats will make for great snacks during movie night at the cabin. The Goofy Rooster is an extremely popular spot, both for the locals, and for those who spend their vacation at the greatest cabins Helen Georgia can provide. This fun farm is seasonally operational throughout the autumn months, enabling travelers to take a break from the Oktoberfest celebrations and enjoy some fall festivities. Pumpkins, squash, and a wide variety of other seasonal gourds are all available for eating or for decoration purposes. When you have found the perfect pumpkin, be sure to try your hand at finding your way out of a massive corn maze, or put up your feet and relax on a hayrack ride. If that sounds too tame, hang around after dark and have the daylights scared out of you in the haunted corn maze. Don't forget to gather around the fire pit and roast some tasty s'mores. All of the fixin's are provided by Goofy Rooster Farms, so all you have to worry about is having a great time. Which produce do you plan to look for on your next trip to the best cabins Helen Georgia has to offer? Be sure to share your tips and experiences with future guests in the comments section of our blog.